Gonna catch 'em all with this Pokemon Ghost Print Black Crossbody Purse! 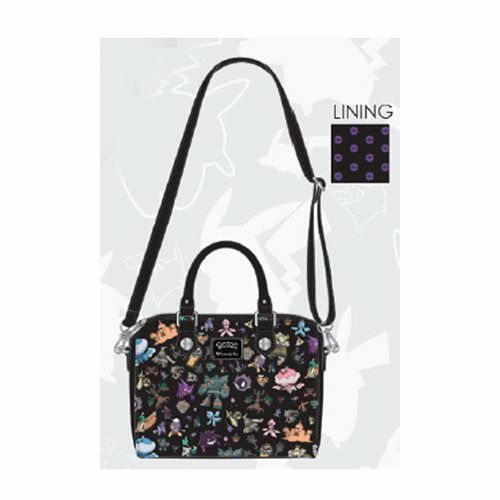 This Saffiano faux leather crossbody bag features a collage of the various ghost type pokemon. Includes handles and a removable sholder strap. This Pokemon Ghost Print Black Crossbody Purse measures approximately 9 1/2-inches x 7 1/2-inches x 6-inches.Ages 13 and up.